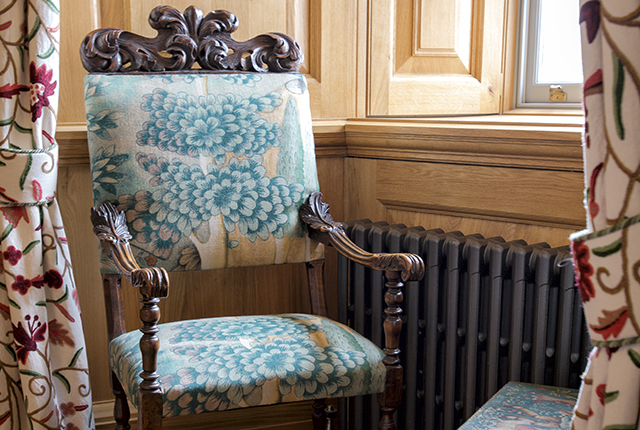 The MacIain suite is ideal for those looking for a feast of Georgian extravagance. 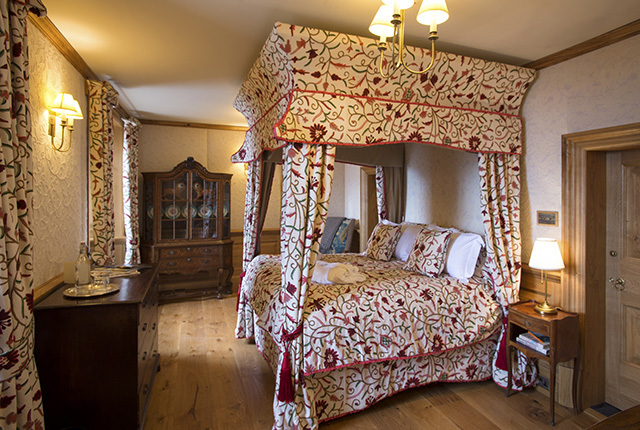 It’s super-king sized antique four poster bed is the centerpiece of the room, set amongst half-height oak panelling and hand-sewn crewel fabric. 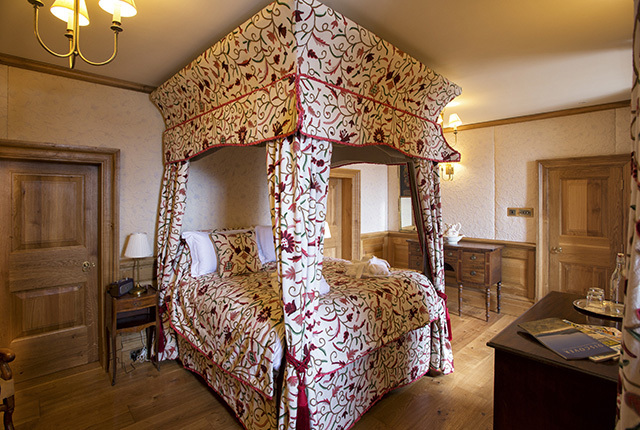 Out through the sash windows and their handmade curtains, you’ll catch glimpses of the Sound of Mull through the battlements, tempting you out to explore the surrounding area. 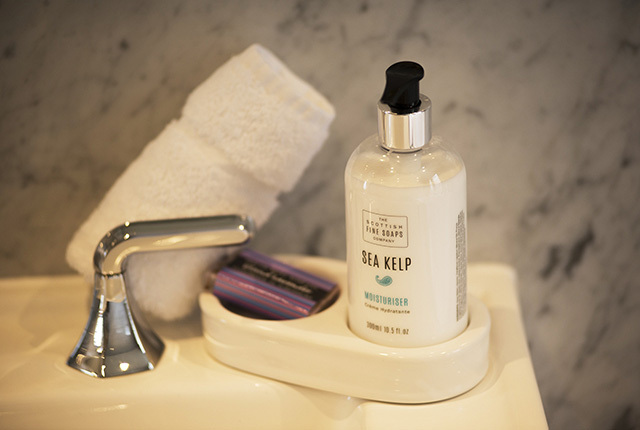 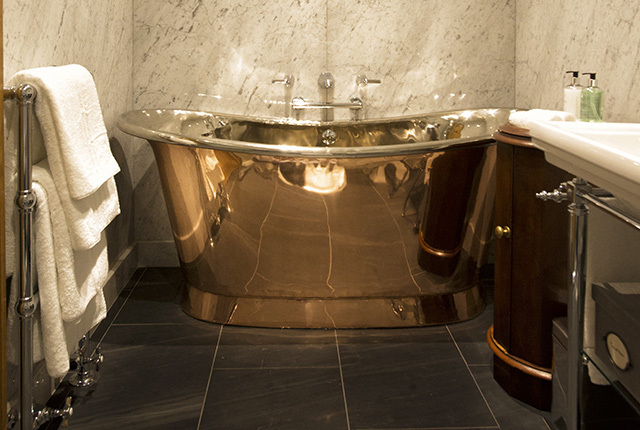 That is if you’re not spending time in the cozy dressing room or en-suite bathroom, lined with Italian marble and featuring both a walk-in shower and roll top copper bath from William Holland.